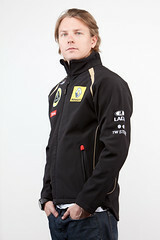 The Kimster displays his trademark enthusiasm in this Lotus Renault sourced clip. Add another World Champion to the roster for the 2012 season but I hear the Lotus press and PR people are all demanding raises! We were almost promised he wouldn't be back after Williams walked away. 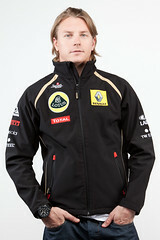 I mean, I know Renault...err, Lotus...err, LRGP...are hurting but this isn't going to help them much. Unless they've bought heavily into the ice cream industry. 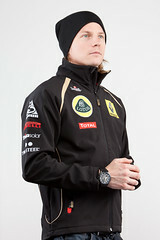 This is a new Raikkonen. I have faith, he nearly smiled like THREE times in that video!